We are pleased to share with you the key service calls statistics in 2018 to reflect on our work last year. 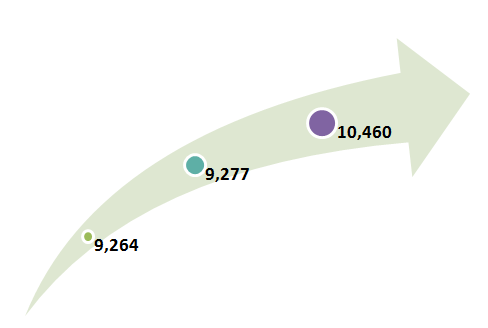 10,460 service calls were handled in 2018. The demand for the IT support service slightly increased compared to 2017 and 2016 (9,277 and 9, 264 service calls respectively). 99.36% of service calls were solved within service target. 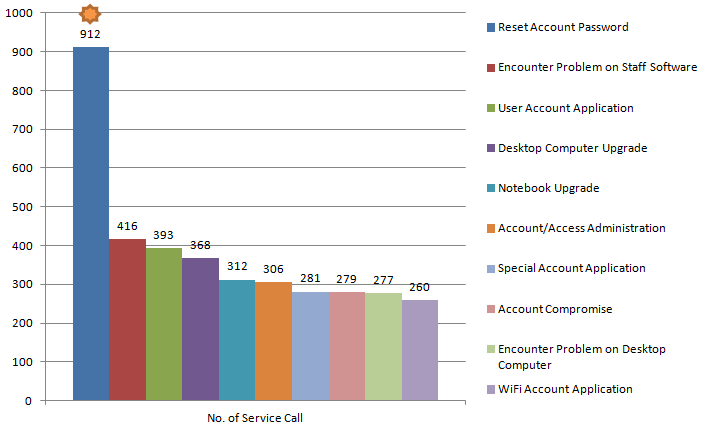 The reset of account password was requested the most among all service calls. In 2018, 664 calls were solved by Remote Support Service. 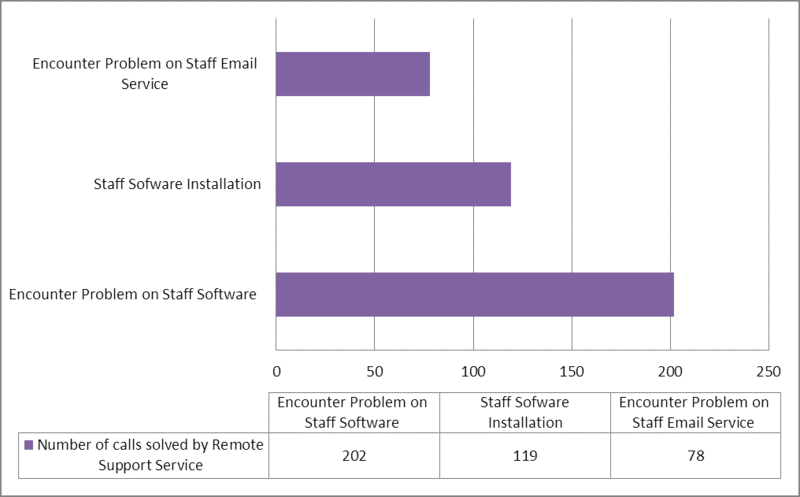 Many cases of software problems and software installation tasks were handled via Remote Support Service, and these two categories counted for 48.34% of all Remote Support calls. Many cases of email problems were also handled by Remote Support Service.